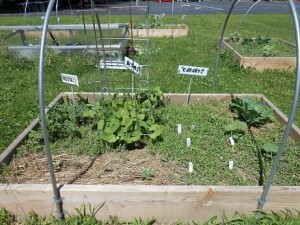 Thank You Class of 2019, for the attractive labels seen in these photos! 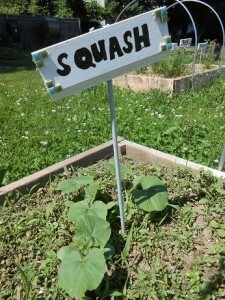 If you have not taken time to stroll through the community gardens recently, get a glimpse of the growth that has emerged by viewing dated photos of a single bed. 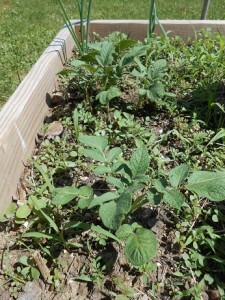 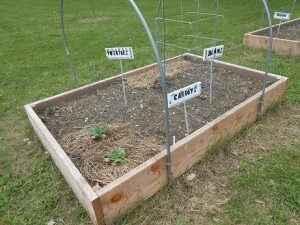 Check out what is happening in other raised beds also. 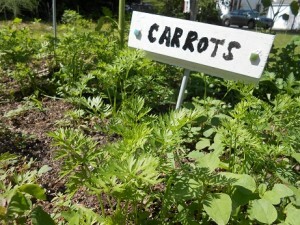 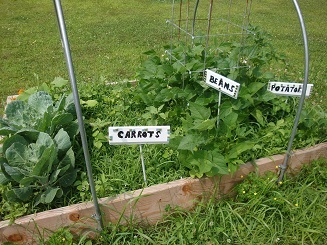 It looks like our plan for a healthy harvest for the Western Mass Food Bank is right on track! 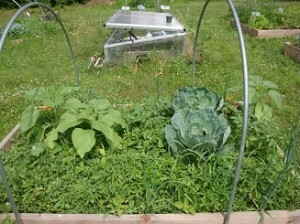 July 3- Sunflowers and Brussels Sprouts waiting to be weeded!